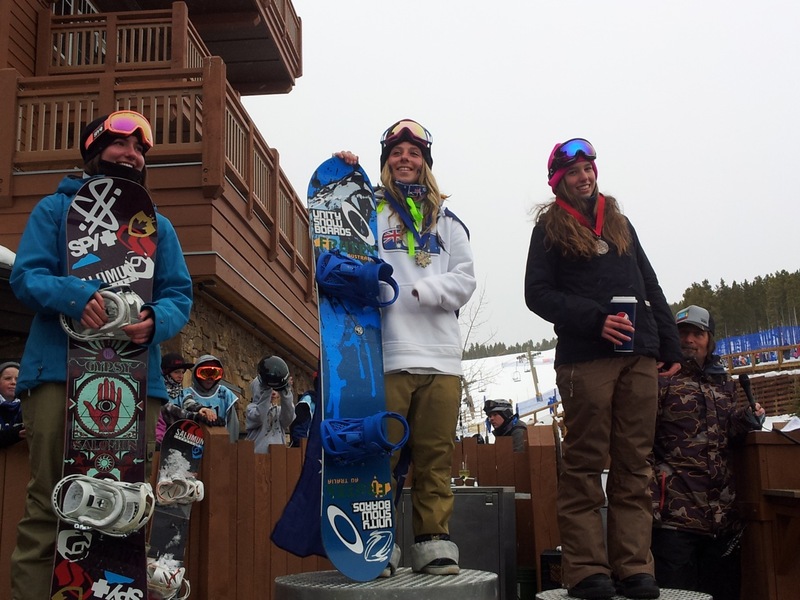 ← 16th @ World Champs in Stoneham Canada! I dont remember the last time i actually had Australia day in Australia but its still my favourite day of the season living in america! The night before i decided to compete in a local usasa event to try and qualify for nationals. There were 5 other local girls competing in open womens one of them being a fellow aussie! 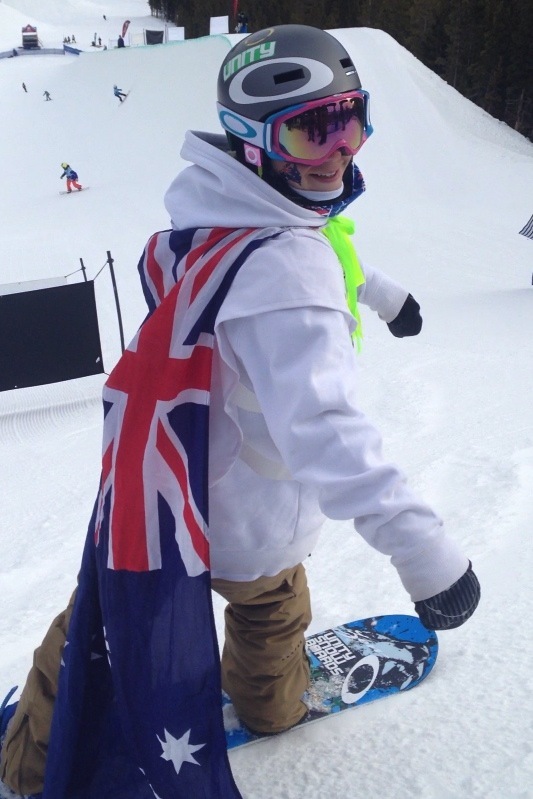 Being australia day and not a serious comp i wanted to have some fun wearing as many aussie flags as i possible could, having then on the back of my bindings and wrapped around my leg and as a cape. I was able to calm down from all the aussie excitment and focus on landing a run for the comp which i was able to land both my runs including a new combo ive been trying to land the past few World Cups. My run was Air, Back 5, Air, Air, Front 3, Haakon Flip (Switch inverted 720), Crippler 7 (Inverted 720). It was the first time i landed back to back 7s in competition and it was more than enough to take home the Gold. It was a great feeling standing on the top of the podium on Australia Day!